It's important to keep your portfolio up to date! 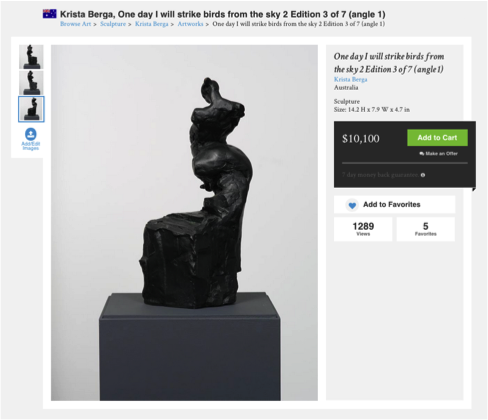 Read on for helpful tips to price your artwork, write an artwork description, list a work as a diptych or triptych, and add multiple images of an artwork. 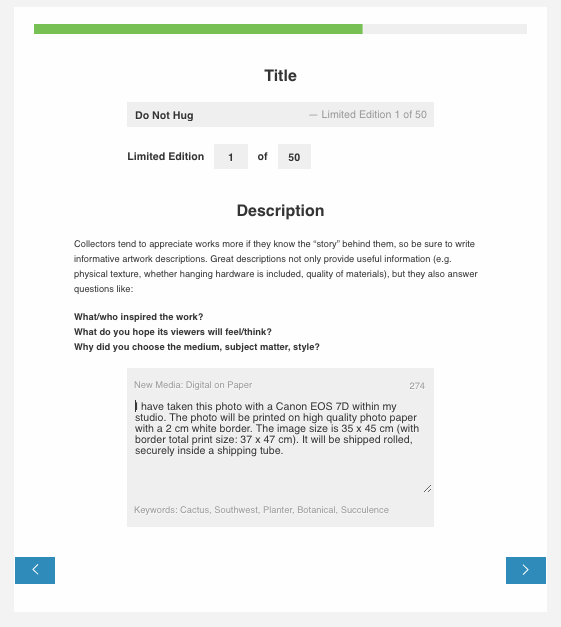 Recently, we introduced the ability to add multiple images for one piece of work. We invite you to use this function to share different viewpoints of your work with the Saatchi Art community. Step 1 — Go to your profile and choose one of your artworks. At the top lefthand corner of the large image of your work, there will be a small blue circle with an arrow in it. Underneath, it says Add/Edit Images. Click this button to add multiple images. 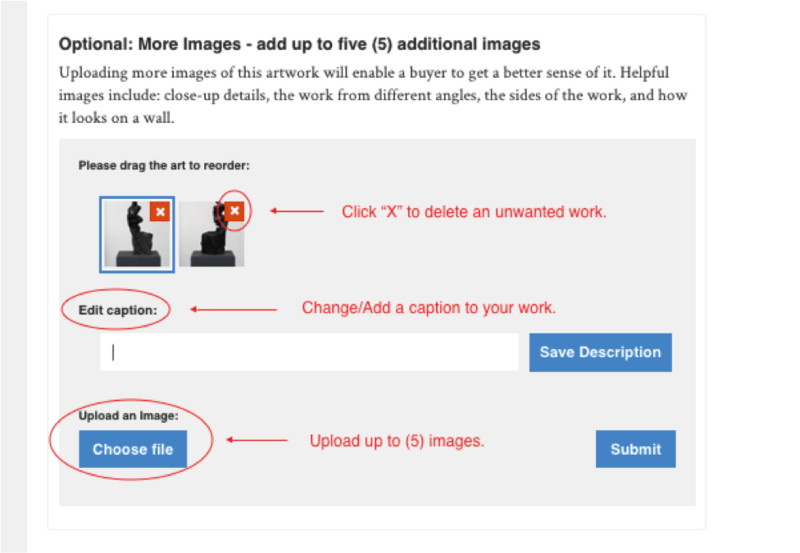 Step 2 — After clicking Add/Edit Images, a box below your artwork will appear. This box will either allow you to drop files or choose files from your computer to upload. Step 3 — Once you have uploaded your images you will be able to reorder the thumbnails by dragging and dropping, delete unwanted images by pressing the orange “X” and edit each of their captions, i.e. stating the viewpoints in which you have photographed the work, different imagery within the work, etc. When finished, click Submit. Step 4 — Now that multiple images of the artwork have been submitted, you will see them shown at the top lefthand corner of the main image. Step 5 — Clicking through these thumbnails, the viewer will be able to see many angles and intricacies in the artwork. 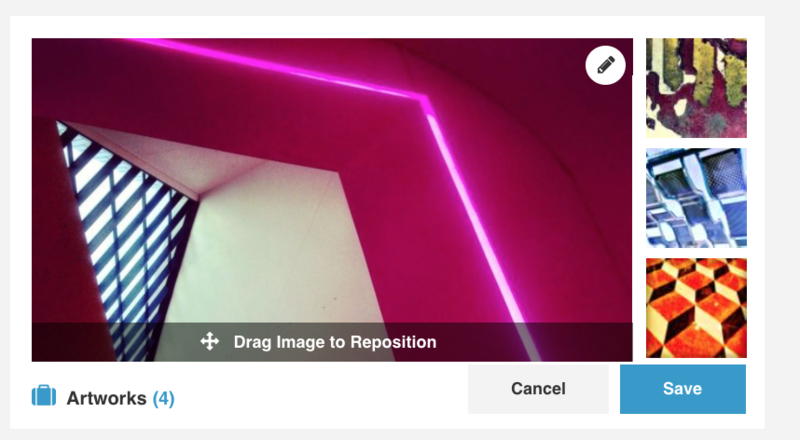 Step 6 — To add, edit or delete any of the additional images, simply click the Add/Edit Images button again to have the box appear below your work. 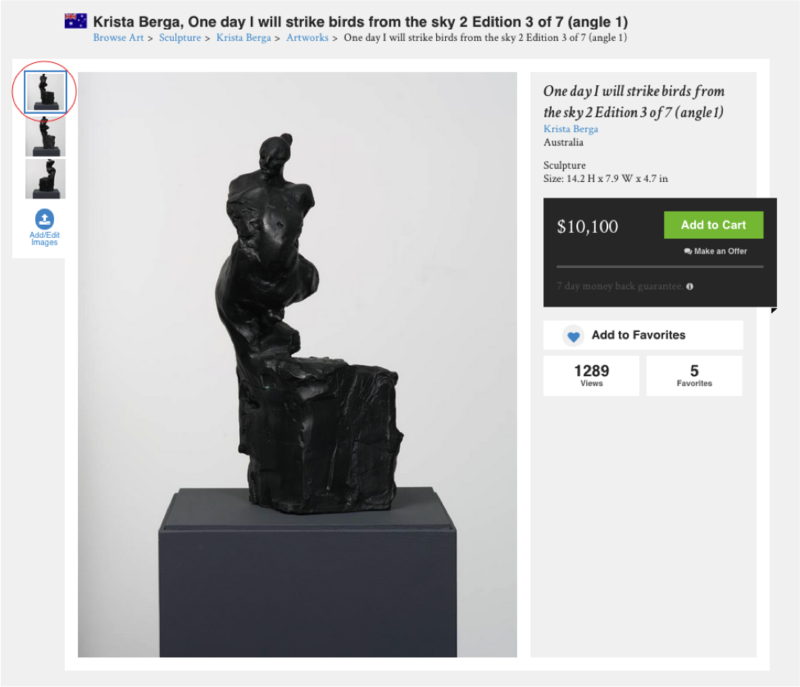 You can add additional works, add or change the caption, reorder the works, or click the orange “X” located on the top right of the thumbnail to delete it. - You can upload up to (5) images in addition to the main image, making (6) in total. - If you do not upload multiple images, the viewer will not see the Add/Edit Images button when viewing your profile. - However, if you are the artist, you will always see the Add/Edit Images button in the top lefthand corner of your main image. Note: Artists should sign out of their account so they can see how the page looks to other viewers. - The images must be 1500 pixels wide, anything smaller will not be accepted. - All additional images can be captioned. The main image will continue to have the description below. - Video will not be accepted at this time. 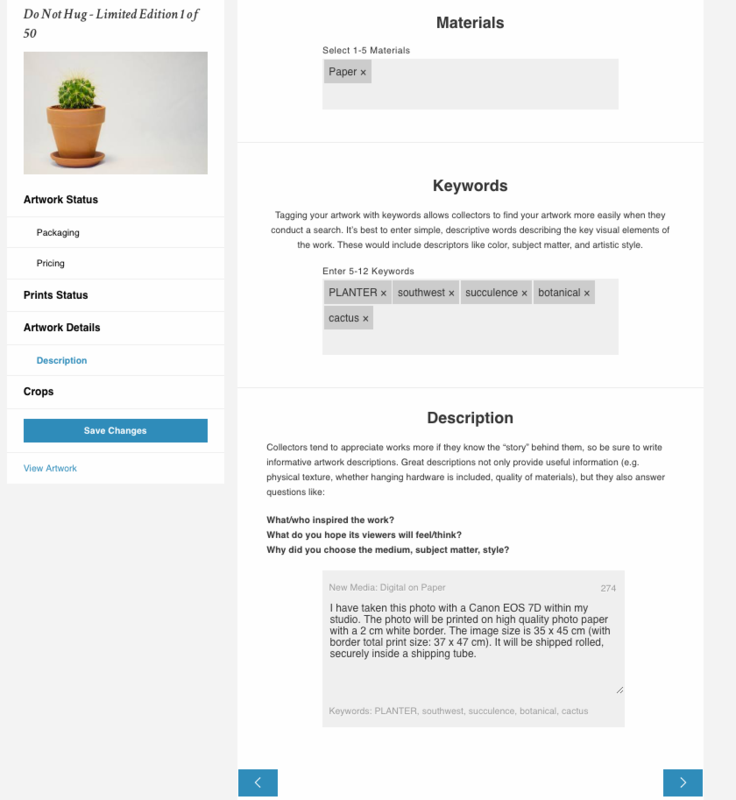 - This tool is not accessible for artists when on a mobile device (iPad, Mobile). CAN I REARRANGE MY ARTWORKS WITHIN MY PORTFOLIO? Currently, all artists’ works are arranged in the order that they were uploaded. At the moment, you are unable to rearrange the order of your artworks, but we’re working to add this capability in the future. Step 1 – From your profile page, mouse over your main artwork image (i.e. the hero image) and click the Edit (pencil) icon that appears on the top right corner. 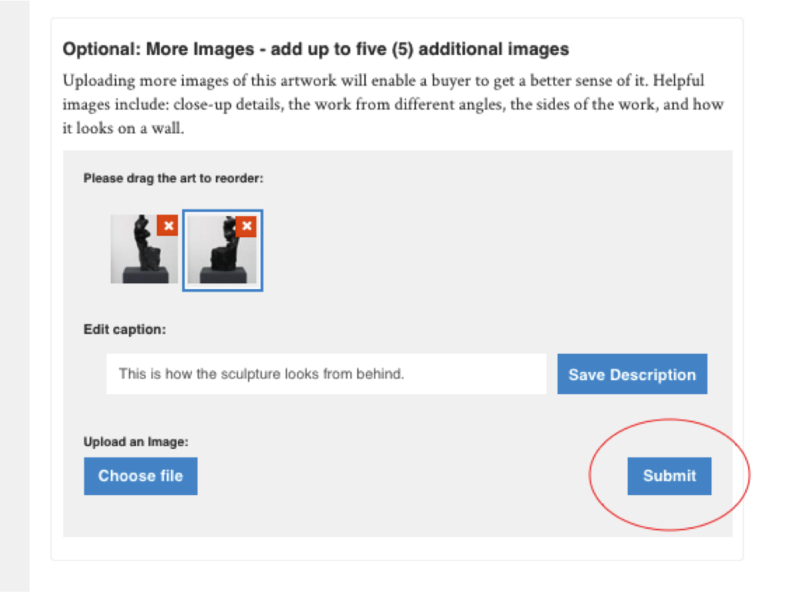 Step 2 – You’ll be given the option to either reposition the image or select a different image from your uploaded artworks. Step 3 – If you’d like to the reposition the image, simply drag the image into the desired (cropped) position. The crop size for hero images is 557x300 pixels. If you’d like to replace the image, click Choose from Your Art and a pop up window will appear displaying your uploaded artworks. Want to increase sales and ensure that buyers will be fully satisfied with your artwork? Write detailed art descriptions! We know how exciting it is for you when you sell one of your works. We also know how disappointing it is for both you as the artist and for the collector if the artwork is returned for a refund. Too often, the reason that buyers give us for returning an artwork is that the description didn’t include important details about the work. So, we want to help you avoid this! Detailed artwork descriptions help collectors and our curators discover new works when they’re searching for something specific, as well as tell a buyer exactly what to expect when the artwork arrives. What extra materials were used to create the work? What type of surface the work was created on? Whether the artwork is framed or unframed? Any recommended framing or installation procedures? The effort you make to write detailed art descriptions will help your work gain more attention and will help us to ensure a terrific art purchasing experience for our collectors. Please note that on occasion, we offer promotional discounts as an incentive for new and returning collectors to explore the constantly updating selection of artwork on our site. On occasion, we offer promotional discounts as an incentive for new and returning collectors to explore the constantly updating selection of artwork on our site. We find that offering promotions from time to time allows artists to gain the attention of collectors previously unaware of their work and a better chance to make future sales. 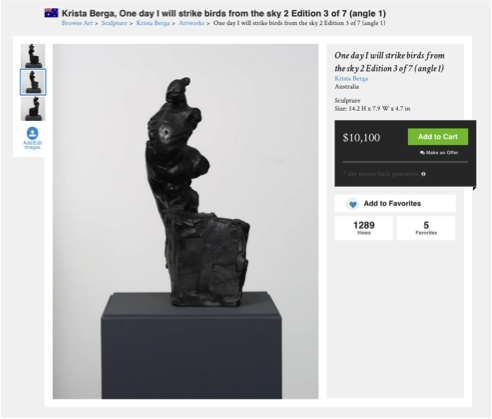 The discount codes typically give collectors between 10% - 15% off original works, and do not exceed these amounts. For works sold to the trade - interior designers and architects, for example - we give tiered discounts of 10% - 15% off original works. If you sell an original work, Saatchi Art will receive a 35% commission on the final sale price. If a promotional discount code is offered, the discount will be deducted from the price of the artwork and the usual 65/35 split will then be calculated. It is worth remembering that Saatchi Art’s commission is 35%, whereas the gallery standard is 50%. This means that very often even with a discount you will be earning more through your sales with Saatchi Art than if you were to sell through another gallery that takes 50% commission. For open edition prints, artists are entitled to 65% of the profit on each sale. Profit is calculated from the final sale price minus the costs of production. Saatchi Art reserves the right to promote and market Original Works of Art and/or Digital Works through the use of sales and/or discounts. 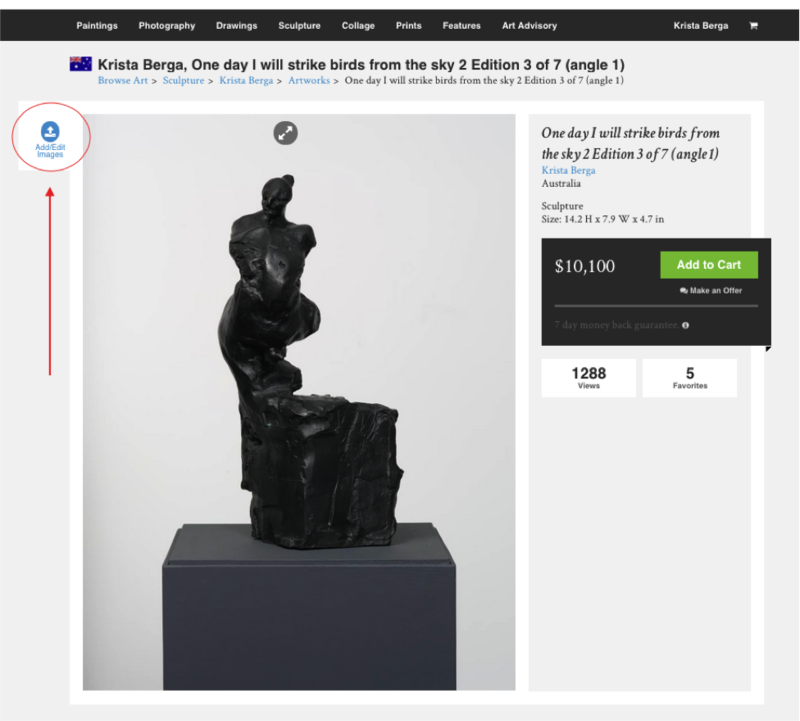 The sale or discount amount will apply to the listing price of Original Works of Art and/or Printed Works relating to the Digital Works. After the discount code is deducted from the sales price, our usual commission of 35% will be applied. 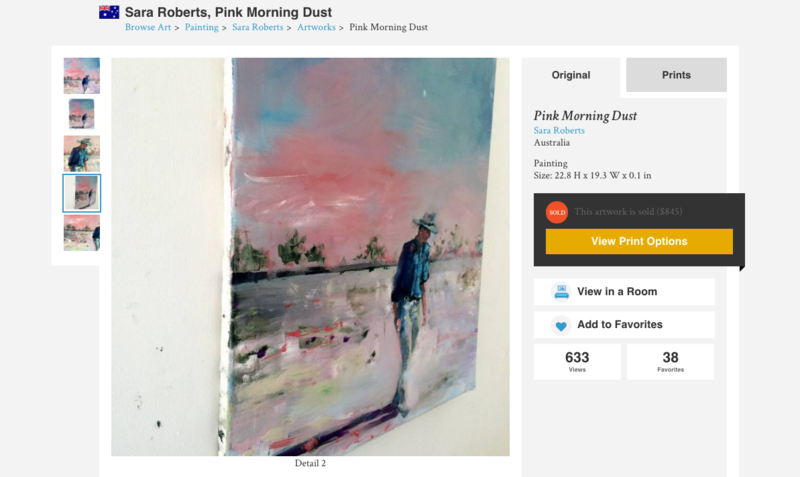 All-in pricing means that when a potential collector sees your work on Saatchi Art, the price shown will include the price of the artwork as well as the shipping costs. We know from our collectors that they would prefer to know the total cost of a purchase, including shipping fees, before they start the process of buying a work. By giving them this information upfront we are confident that we will be able to sell more of your works. 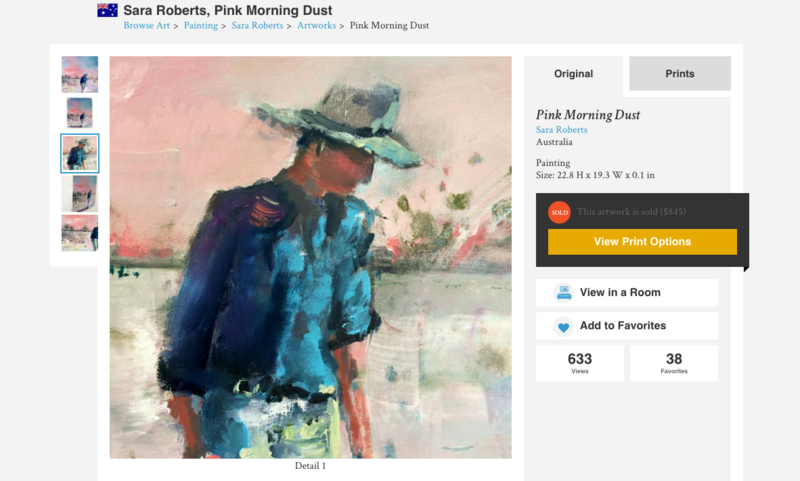 Saatchi Art has an agreement with our shipping providers for a competitive flat rate shipping cost based on size, weight, and origin of your parcel. We believe that collectors will respond well to a more streamlined buying experience, which will result in more sales for our highly valued artists. HOW DO I LIST A DIPTYCH OR A TRIPTYCH? 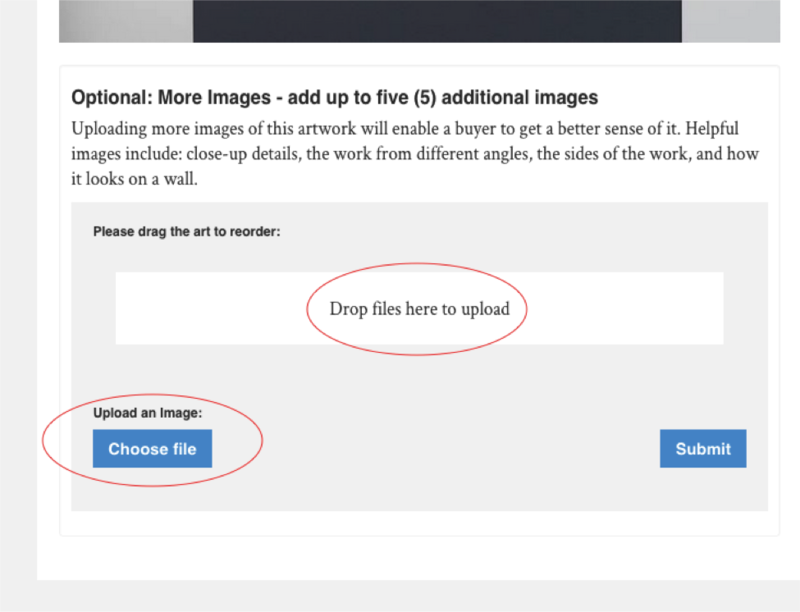 If your artwork is a diptych or triptych, or has any component of having multiple panels that are not connected - please check the box, "This is a multi-panel artwork" on the Packaging page during upload. 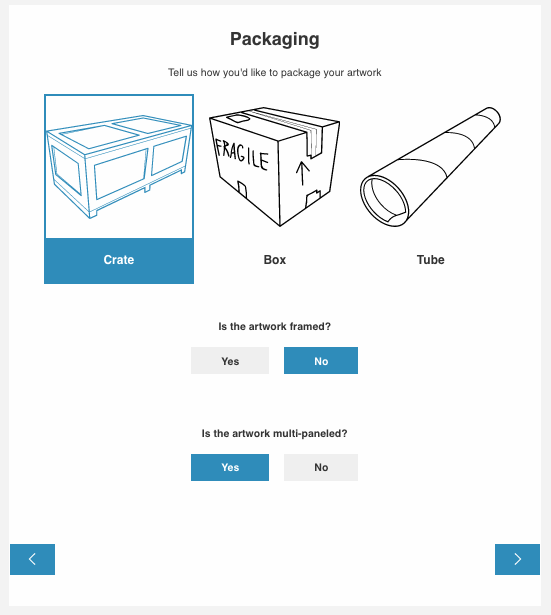 This is very important because it will help to calculate your customer's shipping cost. This detail should also be written as a note in your Description field so that your customer can read exactly what to expect upon delivery.